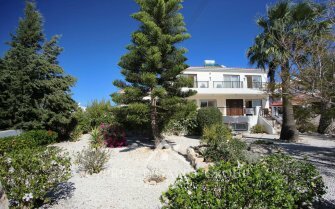 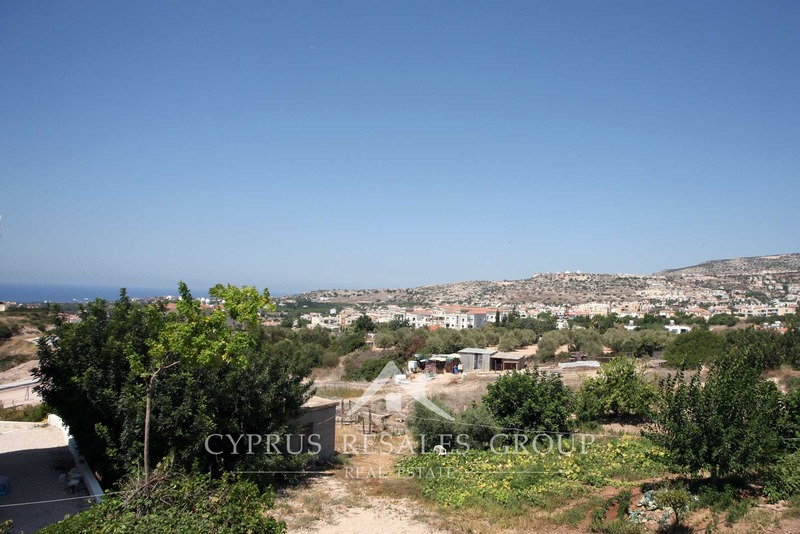 Exceptional opportunity to buy yourself a 3 bedroom detached home in Peyia for just under 150,000 Euro. 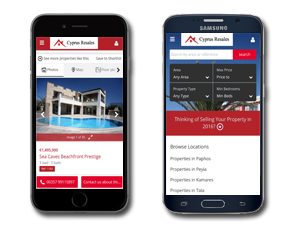 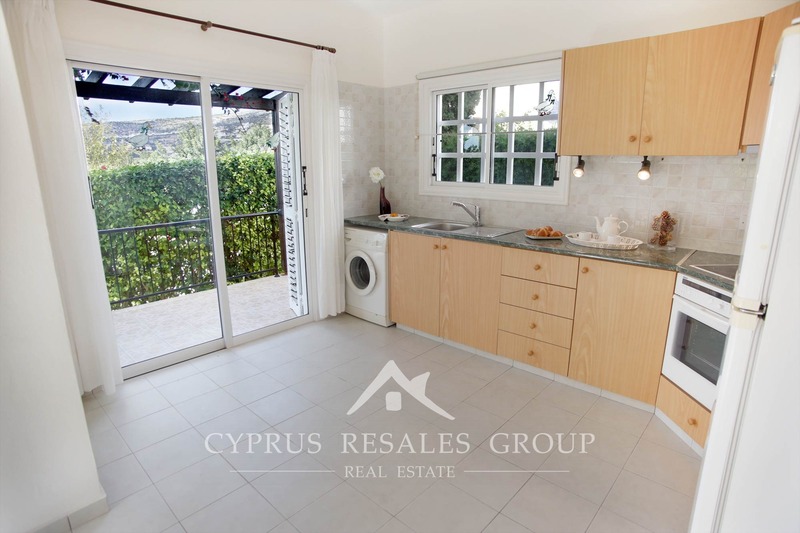 Project Vrisi 1 by Aristo Developers comprising of only 9 private villas is conveniently located in its own quite private cul-de-sac on the lower slopes of Peyia only within a few hundred meters of the local shops. 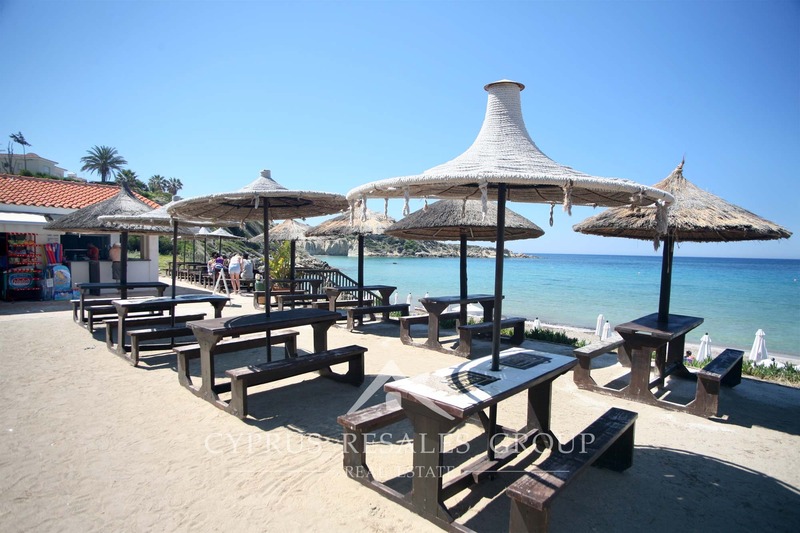 The pristine waters and sandy beaches of Coral Bay are a mere 2 km away. 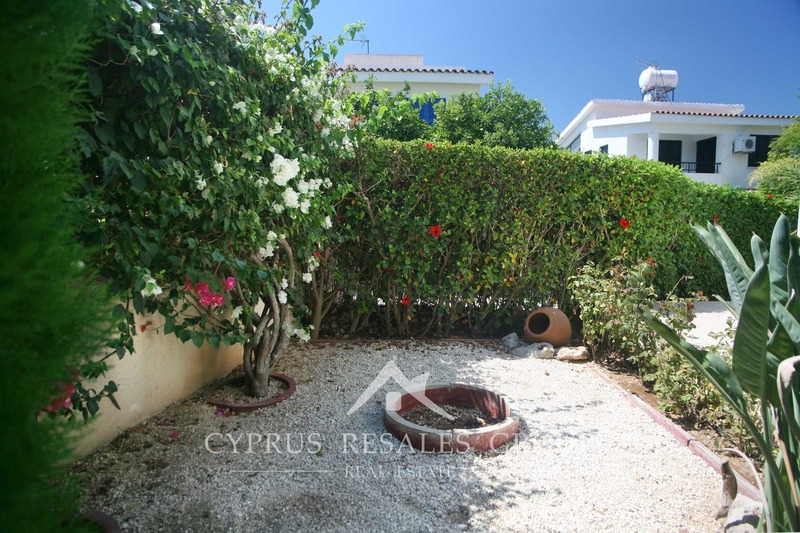 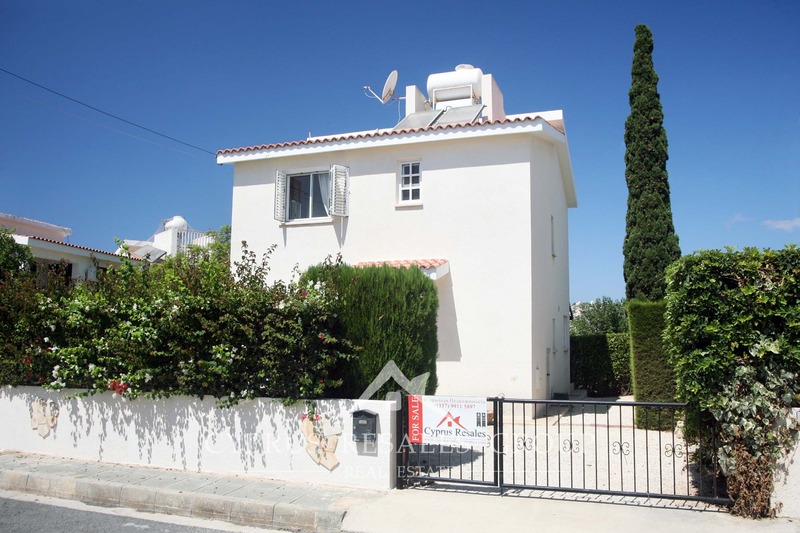 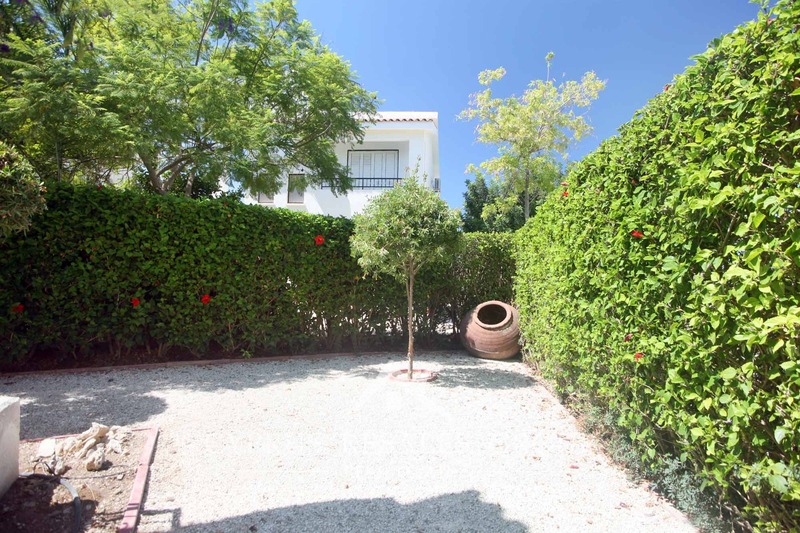 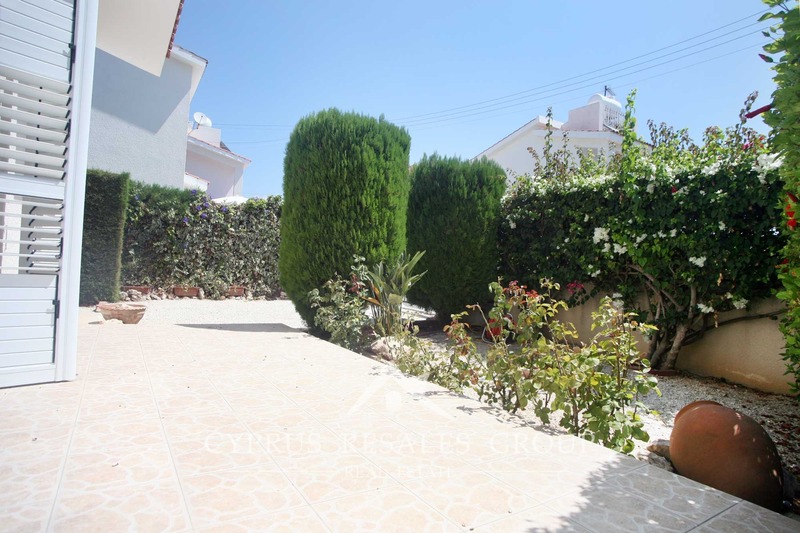 Nestled within its own established garden this delightful little house is in “as new” condition. 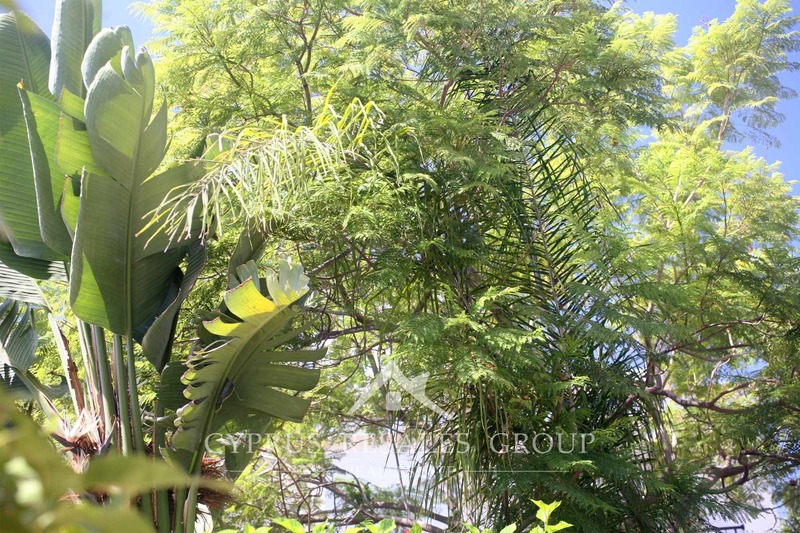 Beautiful trees dominates the front garden with adjacent space of the private driveway. 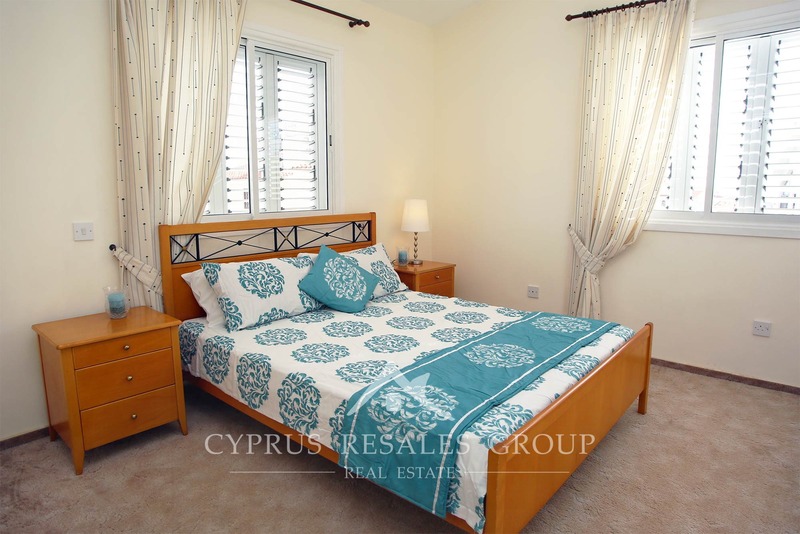 Entering through the main door we come into a large open plan lounge ready for you to make this house your home. 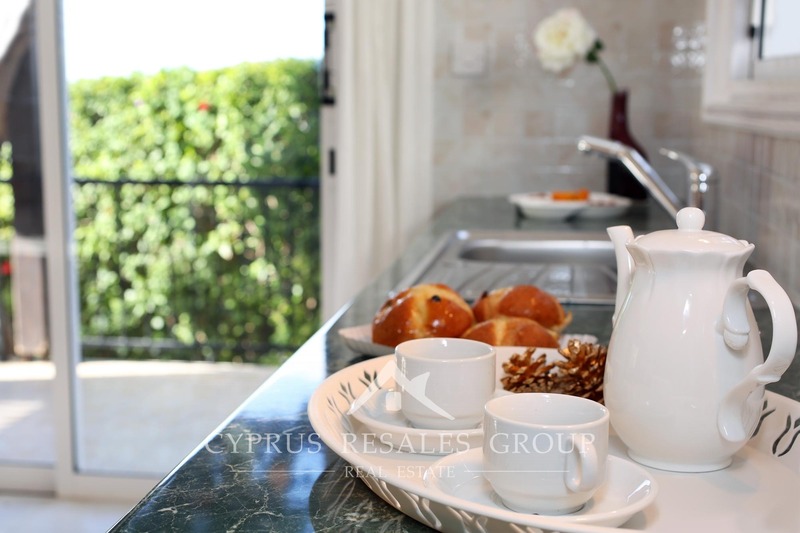 The well appointed kitchen is already equipped with quality built in appliances. 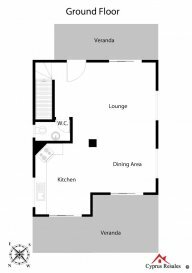 Wide patio doors in the living room as well as the back kitchen door lead onto the partially covered terrace that is ideally secluded from all by well placed hedging. 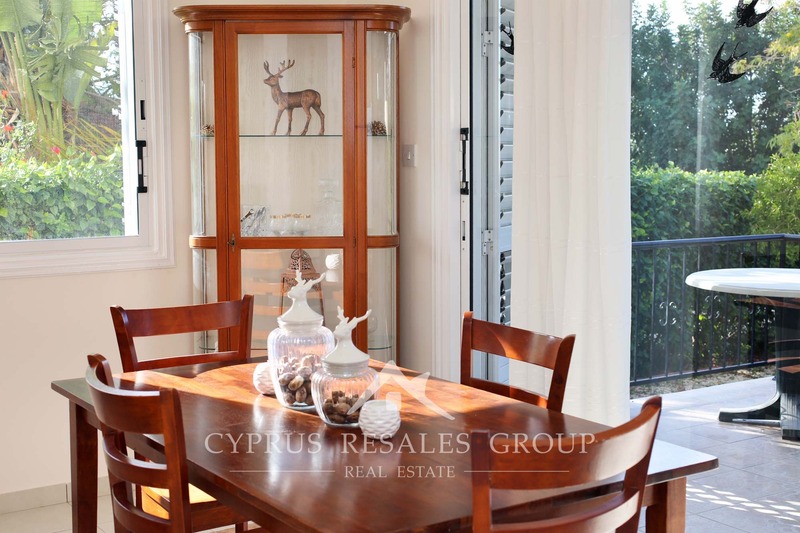 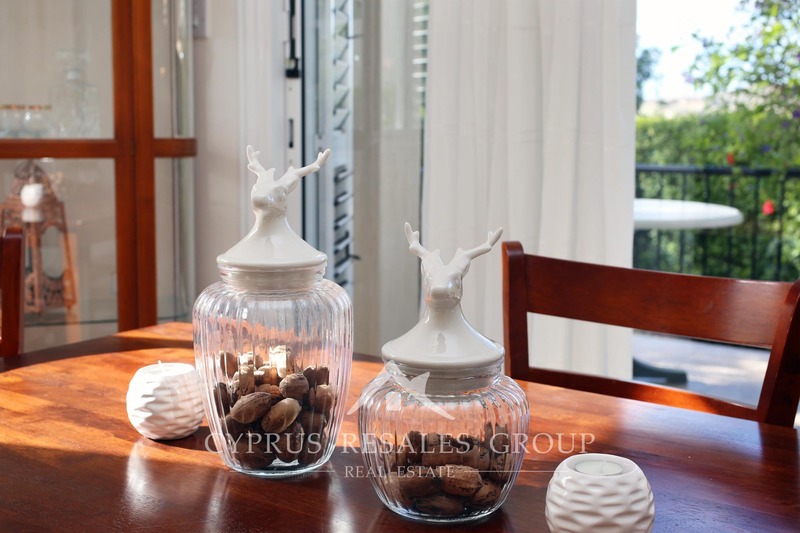 A traditional Cypriot terracotta storage jar in the far corner of this private area is a constant reminder that you now live on a beautiful Mediterranean island of Cyprus. 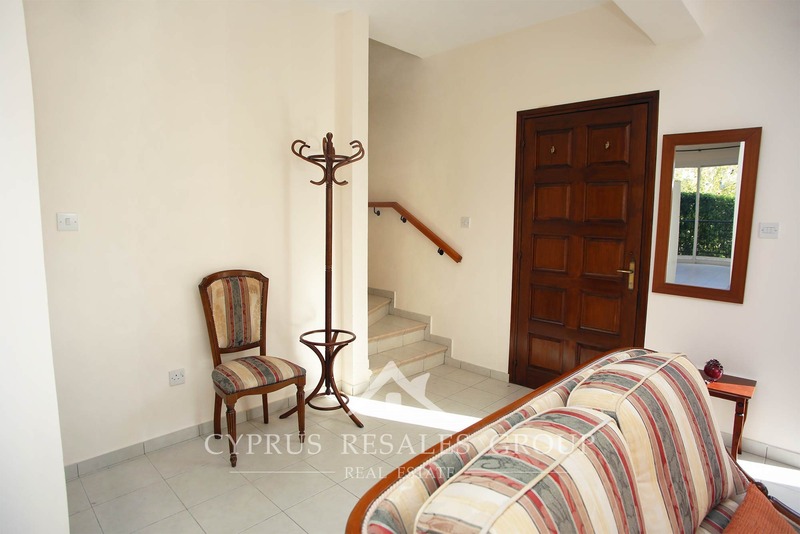 The lower level of this villa is completed by a downstairs cloakroom, conveniently located just before the staircase. 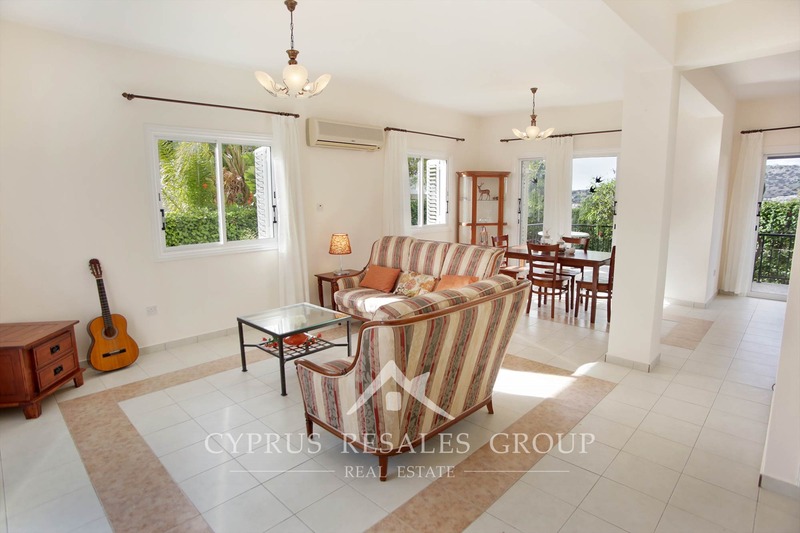 The first floor comprises of 3 bright bedrooms, 2 of which exit onto the large open veranda with the all important views of the nearby sea and picturesque mountain slopes. 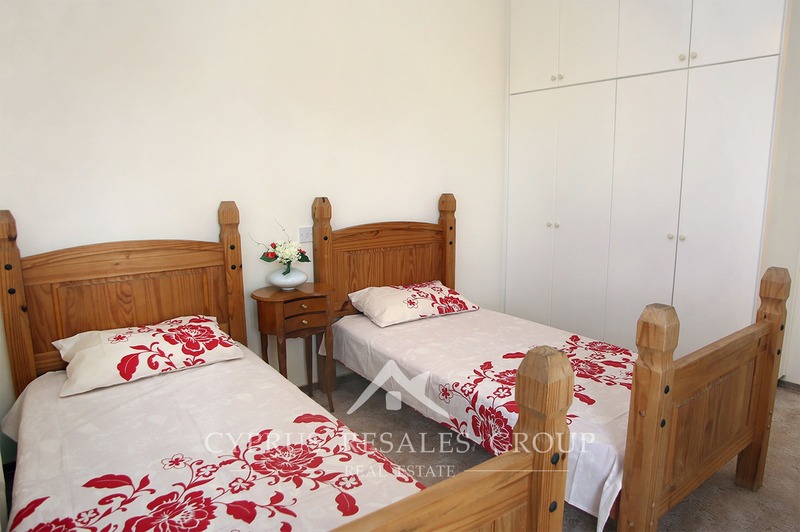 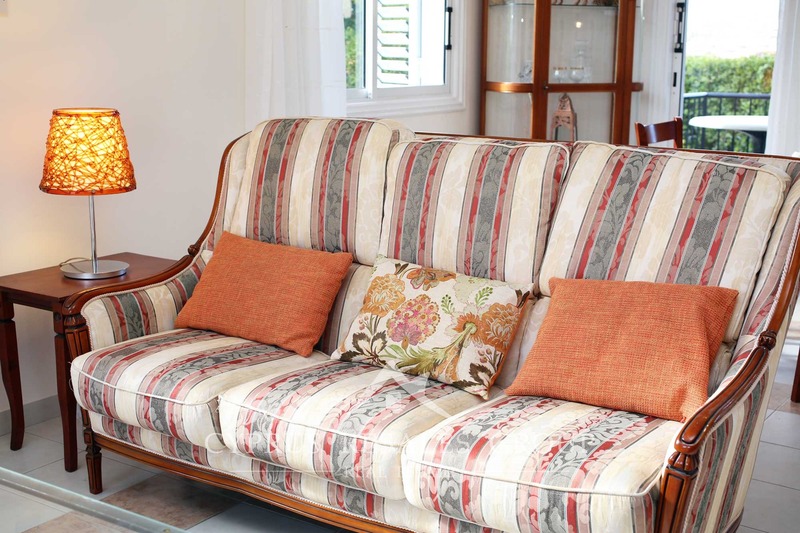 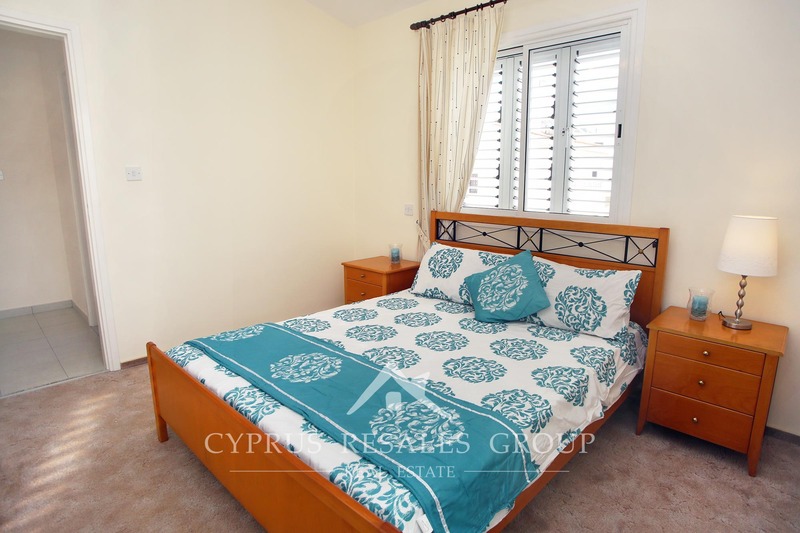 All bedrooms are fully equipped with ACs and fitted wardrobes. 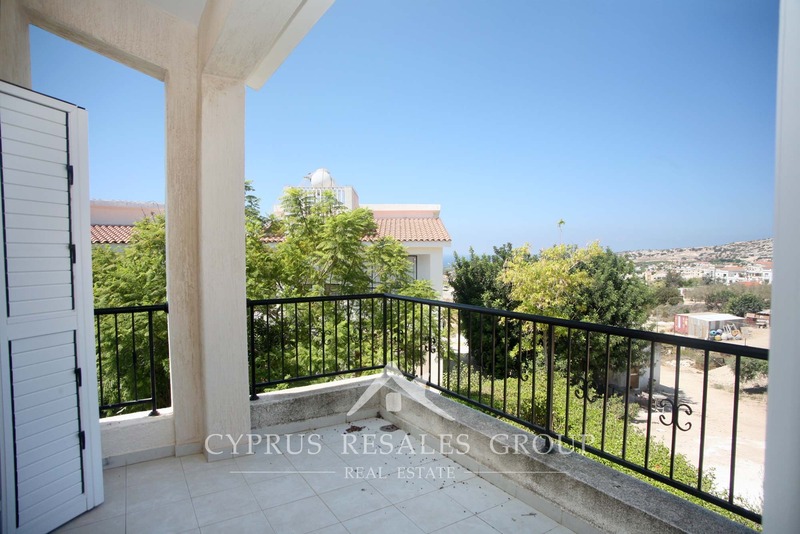 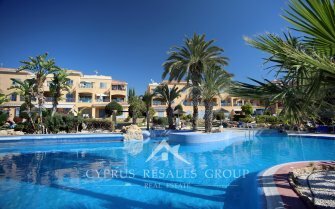 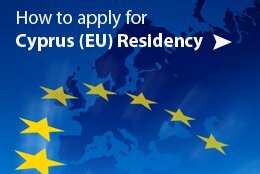 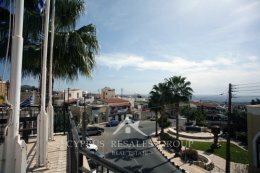 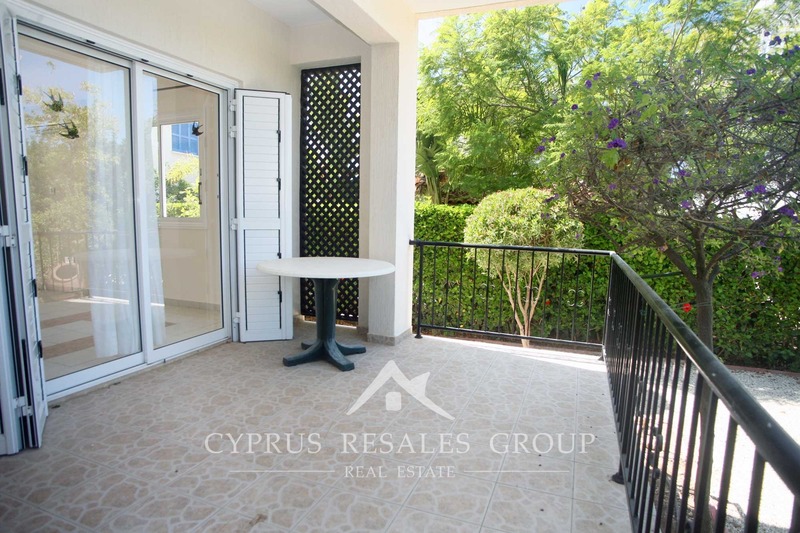 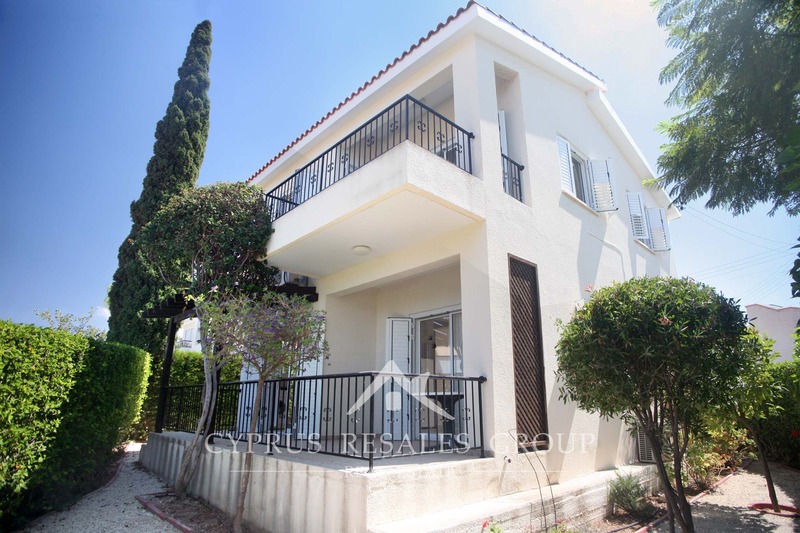 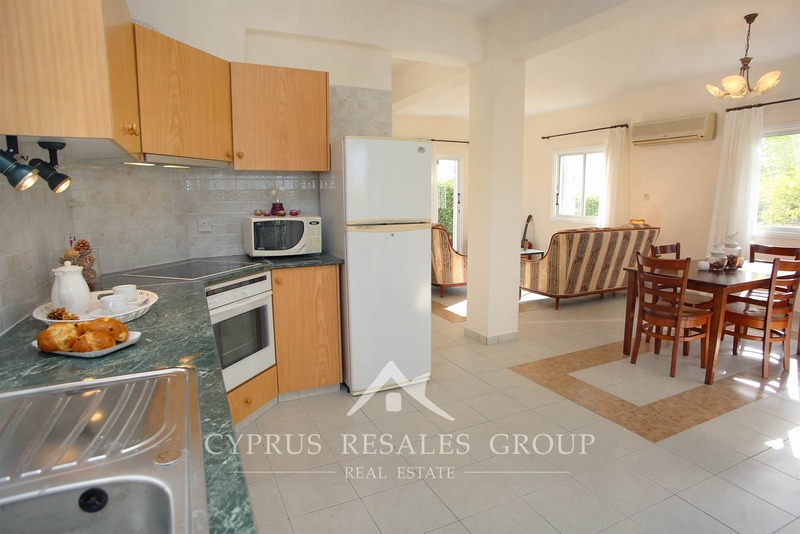 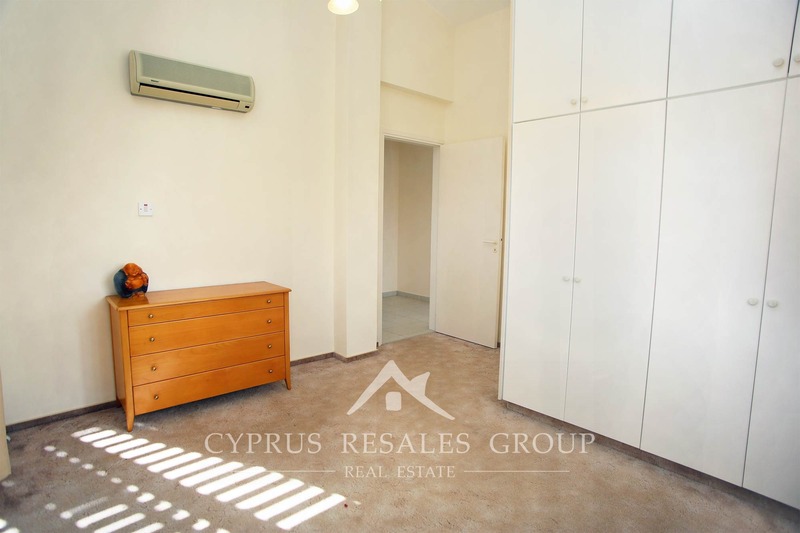 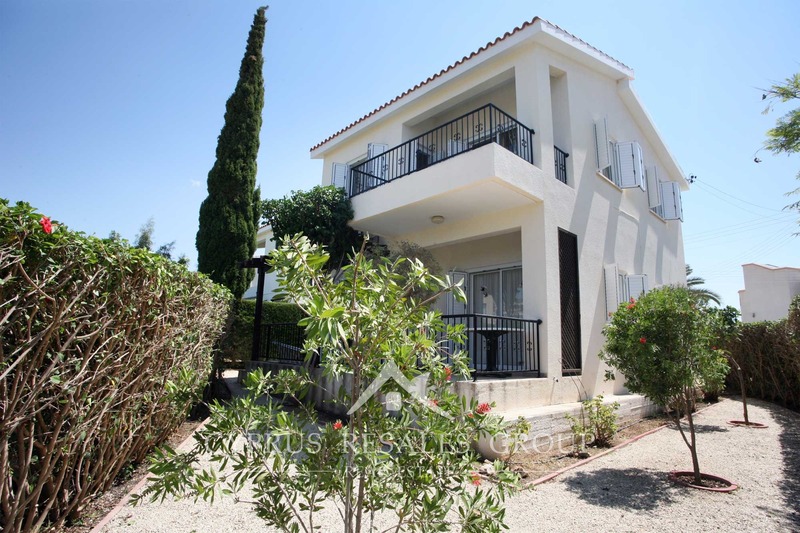 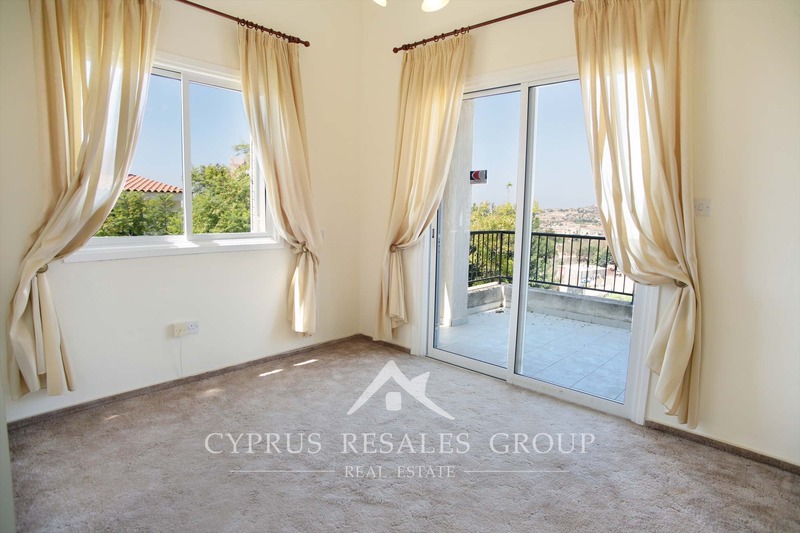 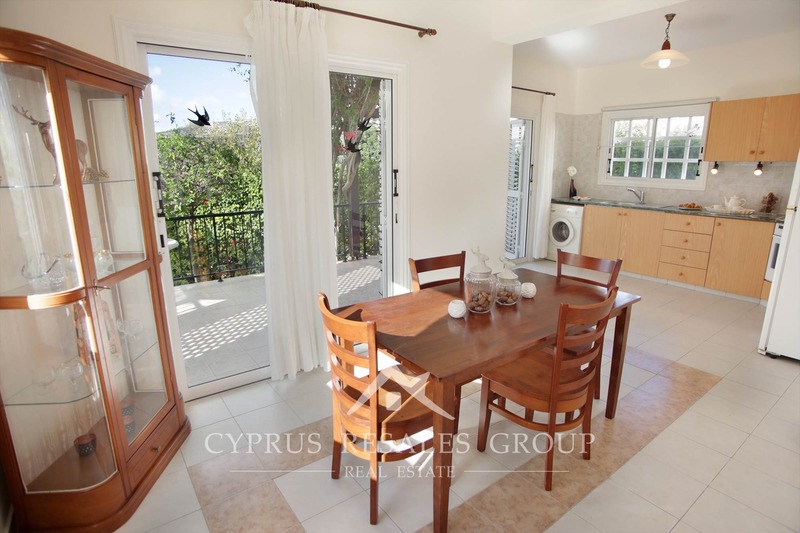 With enviable position in the heart of the popular residential area of Peyia, superb condition and privacy, security of FULL READY TITLE DEEDS and a competitive price, interest is sure to be sparked in this delightful Vrisi villa.